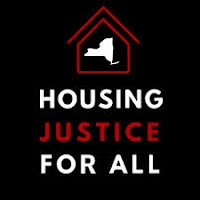 May 2, 2019: Testify in person or by email to the NYS Assembly's Standing Committee on Housing. **Click here to view public hearing notice** with details. Some things have change that could make it easier for market tenants to get their apartments back into rent stabilization - even if they've been market-rate for over 4 years. 1. There is a new on-line portal, NYS Rent Connect (https://rent.hcr.ny.gov/RentConnect/Welcome) for easily getting your apartment’s rent history. 3. The most recent court decision found that Stellar Management intentionally inflat​ed its costs and awarded the tenants triple damages. An intentional inflation of costs could be fraud. Where there is fraud, a tenant can get around the 4-year statute of limitations for getting an apartment back into rent regulation. ​If you're interested in pursuing this after getting your apartment’s rent history, please consult an attorney about this. If you’re a New Yorker living in a rent-stabilized apartment, chances are you’ve struggled with finding a necessary piece of paperwork—the form for requesting your apartment’s rent history, for example, or the right complaint if your landlord is dragging their heels on renewing your lease. In the past, those forms were scattered throughout the website for the Department of Homes and Community Renewal, New York state’s agency that handles rent regulation. But no longer: Gov. Andrew Cuomo announced today that the state has created a new portal, called NYS Rent Connect, that’s a one-stop shop for tenants of rent-regulated apartments (and their landlords) to deal with any potential issues that may arise with those apartments.